25mm unit tops made from Grade E1 melamine faced high density particle board and a 2mm edging. 18mm side and back panels. Units are suitable for box files. 25mm shelves with 2mm edging. 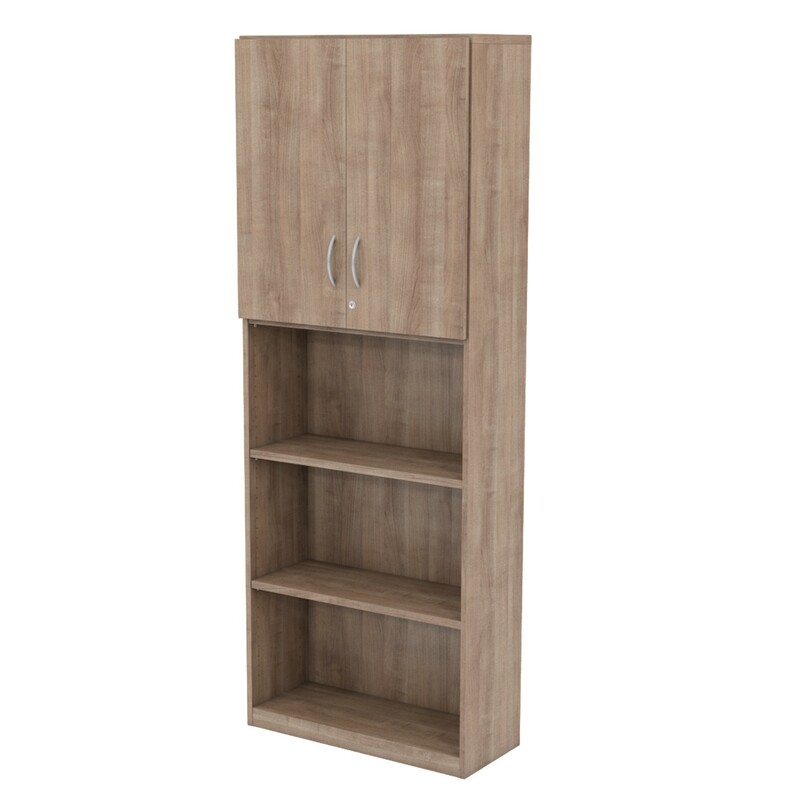 All units are supplied with the number of shelves illustrated. Locking shelf fixings provide extra rigidity and prevent outward bowing of the base units. Includes 1 shelf high upper wooden doors.